Does eye color mean anything? Whenever I am taking a picture in the sunlight I feel like I can barely keep my eyes open, while others don’t struggle to keep theirs open as much as I do. I have thought for awhile now that this is because I have light blue eyes they are more sensitive than other eye colors. I never researched if this was true or not but it made sense to me. I wondered if I was actually correct about this or if eye color had nothing to do with my sensitive eyes, so I decided to do some research. The first source I read explained, the part of the eye that has color is called the Iris. There is pigmentation in the iris and thats what decides what eye color we have. I learned that there are 3 genes that make up eye color and they are linked to the common eye colors;blue, green, brown. I was surprised to find out that other eye colors that aren’t as common are not able to be explained by a single gene. I would have assumed that scientists knew which genes controlled all eye colors. Before researching this topic I thought that everyone had what eye color they had based on what eye color their parents had. If one parent had brown eyes and one had blue eyes, the dominant color, would be the color their child would have. Although after reading this article I know that is not true. I learned that its not as easy as that. What I learned from this article is both parents have two pairs of genes for each chromosome so many possibilities of eye color for their child can exist. I had no idea that this was how it worked. I thought the reason I had light blue eyes was because my parents both had blue eyes so there was 100% change I would have them, but thats not true. According to another article scientists actually thought the same thing I did before they discovered that what eye color you have isn’t as simple as that. I believe that sometime in the somewhat near future scientists will be able to 100% accurately predict the eye color of babies eyes before they are born just by knowing the genetics of their parents. Are some eye colors more sensitive? Turns out I was actually right when I said that my blue eyes are more sensitive than other eye colors. Melanin is the stuff in your Iris that makes your eyes have the color they do. The more Melanin within your Iris the darker your eye color will be. While reading this same piece I found out that white born babies actually all have blue eyes to start out with and then after a few years their eyes darken to their actual color. I had no idea about this fact, I thought that the eye color you are born with will stay that color. It’s pretty interesting that our eye color actually changes after a few years of life. So, going back to my original thought that my light blue eyes are more sensitive than others. I was right about this because the more Melanin someone has in their Iris the more their eyes are protected from the sun. The darker your eyes are the more Melanin you have the more your eyes are protected from the sun. So, people who have blue eyes have less Melanin than darker colored eyes so their eyes are actually more sensitive to the sunlight. I would predict that people who have extremely light eyes would struggle being in the sunlight in general. If they have such little Melanin in their Iris they will not have much protection from the sunlight and this could probably cause them a lot of problems. Now I can know that when I complain about my eyes being more sensitive than others I am not just imaging it, its actually scientifically true. “Genetic Mutation Responsible for Blue-eyes.” Genetic Mutation Responsible for Blue-eyes. N.p., n.d. Web. 01 Dec. 2016. Dubow, OD Burt. “What Color Will Your Baby’s Eyes Be?” All About Vision. N.p., n.d. Web. 01 Dec. 2016. “Is Eye Color Determined by Genetics? – Genetics Home Reference.” U.S. National Library of Medicine. National Institutes of Health, n.d. Web. 01 Dec. 2016. “Sensitive to Light? Blame Your Blue Eyes.” Sensitive to Light? Blame Your Blue Eyes. N.p., n.d. Web. 01 Dec. 2016. “What Are the Percentages of Different Eye Colors?” Reference. N.p., n.d. Web. 01 Dec. 2016. This entry was posted in Uncategorized on December 1, 2016 by Kate Billings. I liked this post because most of my friends who have blue eyes always complain when it is sunny outside! I never knew melanin was the mechanism that determined if your eyes would be more/less sensitive to the sunlight. 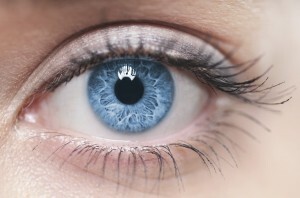 Here is another article published by Duke Medicine that talks about eye color and sensitivity. It makes me feel good to know that I don’t as much pain as others when staring at light because I have dark brown eyes. The connection between melanin and the ability to see in light is interesting. However, seeing better in light may not be the only thing melanin in the iris can help out with apparently. According to the link below, reaction time may be different as well, as people with more melanin in their eyes were better at reactive tasks while people with less melanin were better at self-paced tasks, which are also described in the link below. My brother is a blue eye’d pale skinned classically Irish ginger. And my mom is a geneticist so this is something she was constantly berating my brother about. He always needed more sunscreen, and sun glasses in the summer, because he has less melanin. Like your blog said, this can affect eye and skin sensitivity to the sun. However, there are also other health factors associated with low amounts of melanin that people should be aware of. This paper by Dr. Ananya Mandal (http://www.news-medical.net/health/Melanin-and-Disease.aspx ) explains some of the other health effects associated with low melanin. This is an interesting topic. I have never wondered about eye color and sensitivity. i knew that melanin was responsible for skin color but I didn’t know it was the same pigment that determined eye color. It makes sense because because people with darker skin (more melanin) are less sensitive to sun rays. I have darker skin and I have never gotten a sunburn in my life whereas all of my lighter skinned friends are complaining about them all summer. What’s interesting though is that I have very dark brown eyes but my eyes are still very sensitive to light. After reading this post, I am guessing this isn’t due to melanin in my iris but some other factor that I will have to look into. I like this post because eye color is interesting to think about. I did more research and discovered that recently scientists have discovered that eye color can actually correlate with someones personality. Below is a link to an article the explains patterns in a persons iris can give a hint about the type of person someone is. They studied 428 participants eye pattern then gave them a personality test, what they discovered was an undeniable correlation. Scientists believe these correlations occur because the genes that make up your eyes are the same as the ones in your frontal lobe. 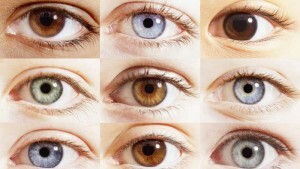 Therefore, certain personalities are more likely to have specific eye colors. Interesting.